Pay people with uBUCK cash with lightning speed, make purchases online at approved merchants or withdraw cash at the ATM. Sign Up for the Closed Beta Today! A uBUCK voucher is a prepaid voucher that allows you to top-up accounts and make payments with absolute security. 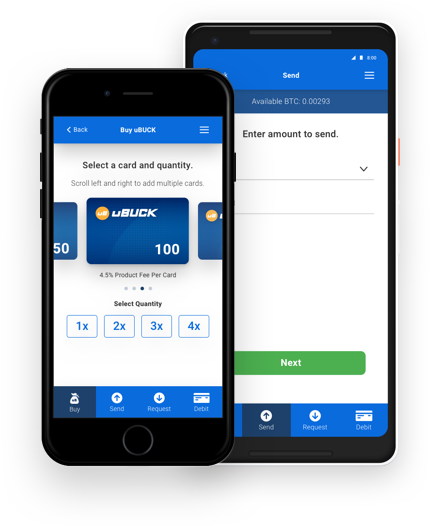 Vouchers may be redeemed for uBUCK cash to make payments to friends and family around the world within minutes. Forget about the expensive wire or transfer fees from our competitors! 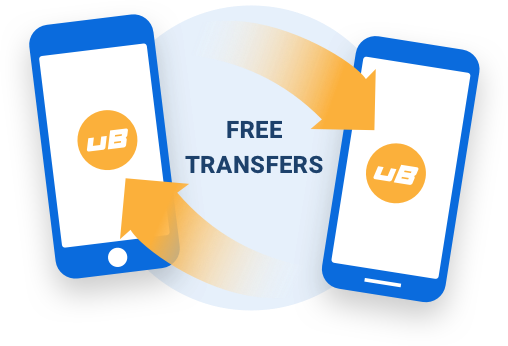 You will never be charged to transfer uBUCK cash to another user. 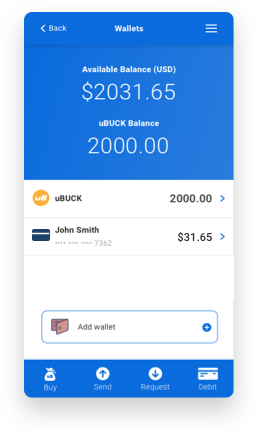 Want to learn more about uBUCK Pay? Contact us now with your media, investor and new partnership inquiries. Sign me up to the uBUCK Technologies SEZC Newsletter and Press Releases. 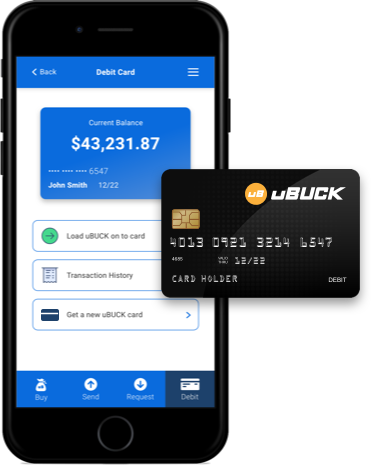 The uBUCK Debit Program is in partnership with multiple program managers worldwide. Use of any card issued by uBUCK is subject to the terms and conditions of the program manager and the applicable Cardholder Agreement. Any fee schedule is subject to change by the program manager, with proper notification.